A Qatar-based company is using traditional Scandinavian methods to expertly smoke fresh Norwegian salmon, which is now being served on board Qatar Airways flights. Customers flying in the airline’s First Class and Business Class cabins can choose from exquisitely presented locally-smoked salmon dishes as part of Qatar Airways’ bespoke à la carte dine-on-demand menu. 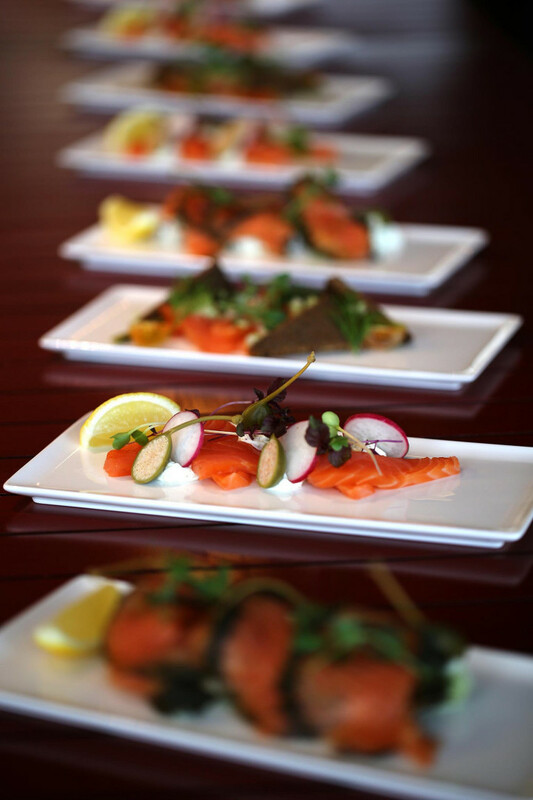 The expertly crafted dishes include Pre-Sliced Smoked Salmon, Tender-Loin Smoked Salmon and Chilled Salmon Gravlax, in addition to an Atlantic Salmon Fillet option. 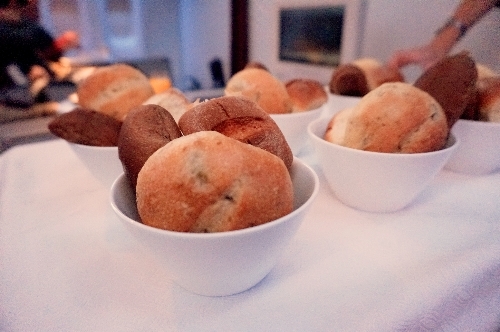 More than 70,000 smoked salmon dishes a month are carefully prepared and served on board Qatar Airways flights. 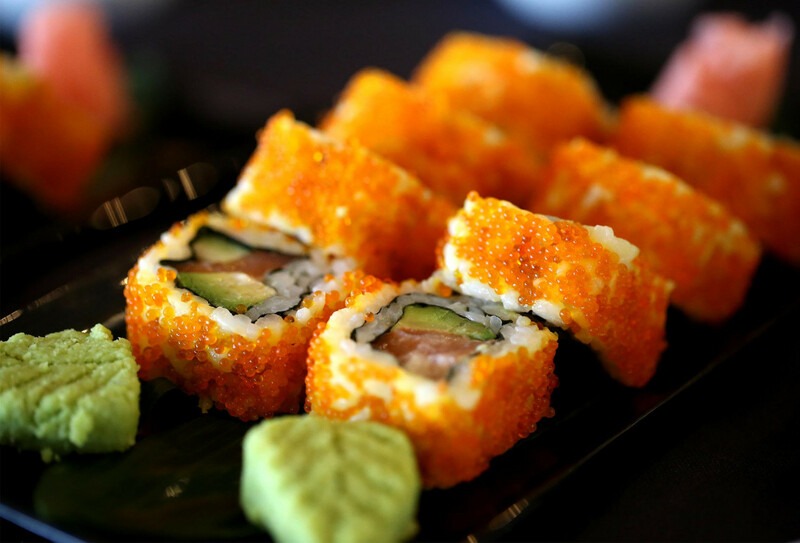 The locally-produced dishes are sourced from Doha-based company Ocean Fish, one of the region’s premier seafood producers and the largest supplier of smoked salmon in the Middle East. Ocean Fish Factory Manager and Smoke Master, Anders Jensen, said: “We only provide the very best quality fresh Norwegian salmon sourced by family-run companies in Norway and smoked here in Qatar, to produce bespoke locally-smoked salmon for Qatar Airways customers and meet the airline’s exacting specifications. “Our state-of-the-art facility here in Doha uses the same traditional methods for smoking, where we hand-salt the fresh fish, and use our own carefully chosen beachwood to smoke the fish to just the right flavour for our customers. Our attention to detail means passengers flying with Qatar Airways and guests at top hotels in Doha can now enjoy the freshest and most succulent locally-smoked Norwegian salmon in a variety of delicious dishes.” Ocean Fish also supplies its much-sought after smoked salmon to local customers through luxury Doha hotel, the St Regis. Ocean Fish uses fresh Norwegian salmon, flown on board Qatar Airways flights direct from Oslo to Doha, which is immediately transferred to the airline’s impressive chilled cargo facility by specialised temperature-controlled vehicles. Once delivered to Ocean Fish’s new Doha premises, the process to produce locally-smoked salmon begins. A salt and sugar mix is carefully hand-rubbed into the fish, which is placed in chiller boxes to infuse for 24 hours to give it flavour. The mix is then removed slowly by water over a number of hours. Using traditional methods, the fish is smoked over specially-chosen beachwood, which gives it a distinctive flavour. The fish is repeatedly smoked and then allowed to rest, enabling it to mature and dry. It is then smoked again over 10-14 hours to further infuse it with Ocean Fish’s trademark aroma. This is just the latest initiative taken by the airline to further enhance its renowned five-star service. Earlier this month, Qatar Airways launched a new Pre-Select Dining menu option, enabling passengers in First and Business Class to board their flight in the comfort and knowledge that their pre-selected dish has been reserved and is waiting for them whenever they are ready to dine. This gives them more time to relax and enjoy the airline’s superior on-board entertainment and amenities. As well as enjoying an unrivalled five-star dining experience, premium customers can also be pampered with amenities from world-class brands such as BRIC’S, Nappa Dori, Monte Vibiano and The White Company. Qatar Airways is launching a host exciting new destinations around the world between now and the end of 2018, including Chiang Mai, Thailand; Rio de Janeiro, Brazil and San Francisco, U.S, to name a few.